Anne has standing appointments available at this location on Mondays, Tuesdays, and Thursdays. ​Anne has standing appointments available at this location on Wednesdays and Thursdays. Have you ever just felt stuck in a yoga pose or in your movement routine? Have you run into a certain rotation or stretch that feels awkward or strange? Fascial stretching can comb out the mats of stuck tissue in our bodies, creating freedom of movement. ​See the Fascial Stretching Frequently Asked Questions for more info. "After my first stretching session, I slept through the night without pain for the first time in months." Sometimes a fresh set of eyes can help us see our patterns! We all have patterns of movement based on what we’ve done with our bodies throughout our lives. Have you every really examined how your body moves through space? Anne assists clients explore their movements and suggests homework to open new pathways. This assessment is included as part of Fascial Stretch Therapy, but it can also be a standalone session. Do you ever feel like you’re carrying around the weight of the world? Sometimes our bodies hold on to emotions and painful experiences, weighing us down. Reiki can help! 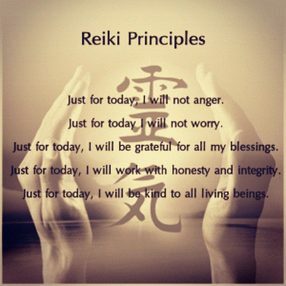 The word Reiki means Re – the life force and Qi – the movement of that force. In a Reiki session, clients rest on a massage table while the practitioner places her hands on different areas of the body to allow for settling and release. The most common application of Reiki today is in hospitals, where it is used as a complimentary healing modality. Combine fascial stretching and Reiki for release of muscles and heavy emotions for a renewed and refreshed body and mind! Anne is able to offer private or small group / semi-private yoga sessions. These sessions can be based around alignment, chair yoga, therapeutic techniques, or restorative yoga. Please contact Anne for details.